The idea to create workout makeup came to Katherine “Annie” Finch because she wanted to look (and feel) pulled together, even when exercising. And she is the perfect woman for the job. 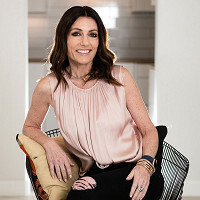 Katherine is a lifelong equestrian with 30 years of experience in the beauty industry. 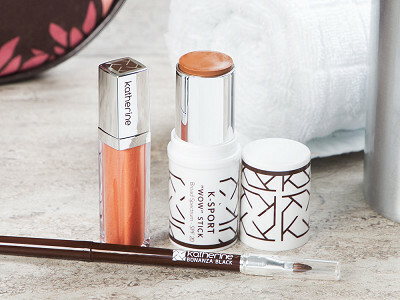 So she made K-Sport’s face stick, eyeliner, and lip gloss long-lasting, sweat-proof, and smudge-proof. The lightweight formulas look fresh while giving you the just-right amount of coverage. Everything is gluten-, paraben-, and cruelty-free. Plus the multi-tasking face stick and lip gloss provide SPF 20 UVA and UVB protection. 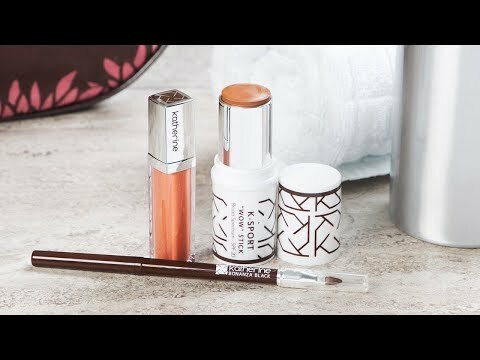 K-Sport Beauty shows that looking put-together doesn’t have a to be a big to-do. Hello everyone! 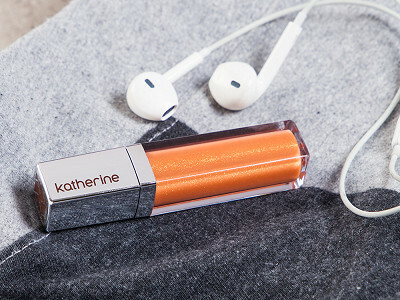 I'm proud to introduce Katherine Cosmetics to The Grommet. I'd be happy to answer any questions you have! I wanted to see if your eyeliner was waterproof? Yes, It is waterproof...and even survives Hot Yoga. You will also love the application, it glides on, then stays in place!! @Gayle Hi Gayle, I am Marcia, Discovery Manager at The Grommet. 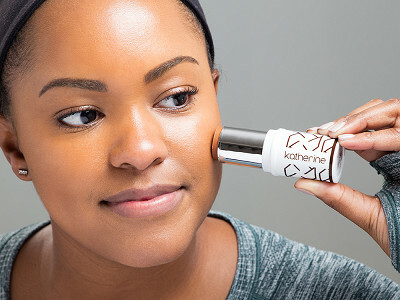 I have been wearing Katherine Cosmetics for 3 months now and I love all the products. The eyeliner is the best I have ever worn - as Katherine said it glides on so easily and does not come off during the day. I have been to every makeup counter in the US asking about this type of product!! Everyone brags about their line being waterproof, but no one makes sweaty, hot-flash proof!! I mean seriously, how often in a week are you hit by water in the face?! Yay for you!!!! 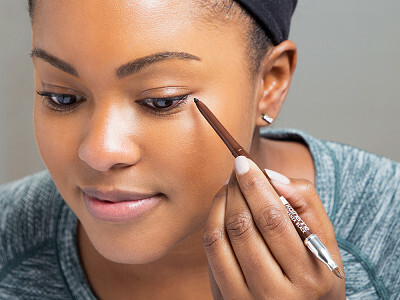 What do you use to remove the eyeliner? I have found that waterproof eyeliners can be very difficult to get off. Katherine -- don't stop now, girl!! Keep making these products, then market to the hot flash demographic...you won't be able to keep up with the demand! Will this stay smudge proof on my skin?? The idea to create workout makeup came to Katherine “Annie” Finch because she wanted to look (and feel) pulled together, even when exercising. And she is the perfect woman for the job. Katherine is a lifelong equestrian with 30 years of experience in the beauty industry. 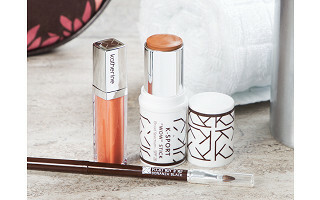 So she made K-Sport’s face stick, eyeliner, and lip gloss long-lasting, sweat-proof, and smudge-proof. The lightweight formulas look fresh while giving you the just-right amount of coverage. Everything is gluten-, paraben-, and cruelty-free. Plus the multi-tasking face stick and lip gloss provide SPF 20 UVA and UVB protection.